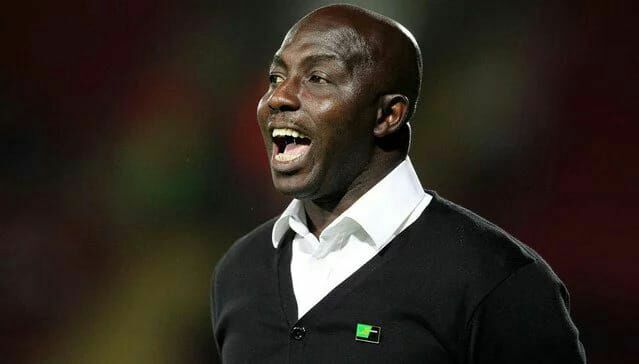 The Nigeria U23 coach Samson Siasia has submitted his 23-man list for the Olympic football tournament in Rio, Brazil. Chelsea defensive midfielder Mikel Obi and Chippa United goalkeeper Daniel Akpeyi were named as the over-aged players that will fly the country’s colours in Brazil. Goal gathered through a reliable source from the Nigeria Football Federation that coach Samson Siasia opted for two senior players instead of the mandatory three as competition kicks off next month in Brazil. “Samson Siasia has submitted his 18-man list for this year’s Olympic football tournament in Rio, Brazil and I can authoritatively disclose to you that the coach opted for only two over-age players and they are Mikel Obi and goalkeeper Daniel Akpeyi,” the source told Goal. Recall that Nigeria claimed gold at the 1966 Olympics in football; the team missed-out of the 2012 Olympics but would be hoping to do well in Rio. Mikel and Akpeyi are expected to lead the quest in August with the Chelsea man highly expected to captain the side. Nigeria bowed 1-0 to Argentina at the 2008 edition in Beijing to win silver in their last appearance. The Chelsea star has never hidden his interest in playing for the Dream Team VI and it is not strange seeing him make the cut ahead of Odion Ighalo, Ahmed Musa, Kenneth Omeruo and Godfrey Oboabona who had been considered for selection. Ahead of the opener against Japan on August 4, the Nigerian team will continue to intensify their preparations for the games and will play a friendly with Chalton Battery on Saturday, July 16, at the Silverbacks Stadium, Atlanta, United States of America. Nigeria’s Dream Team VI will play inGroup B at the Rio 2016Olympics alongside Sweden, Colombia and Japan.